Becwar established a strong presence in Dubuque from their original spot, but today they ring in 2019 at a brand new location just east of South Locust St. The former home of Paradise Distilling Company is now their new 2500 square foot designer showroom. Bright, open, and filled with a vast array of tile and marble samples that customers can take home with them in order to see how they will complement the spaces of their everyday lives. In 1995, Bob Breitbach and Eric Christensen’s paths intersected from two different, but related backgrounds. 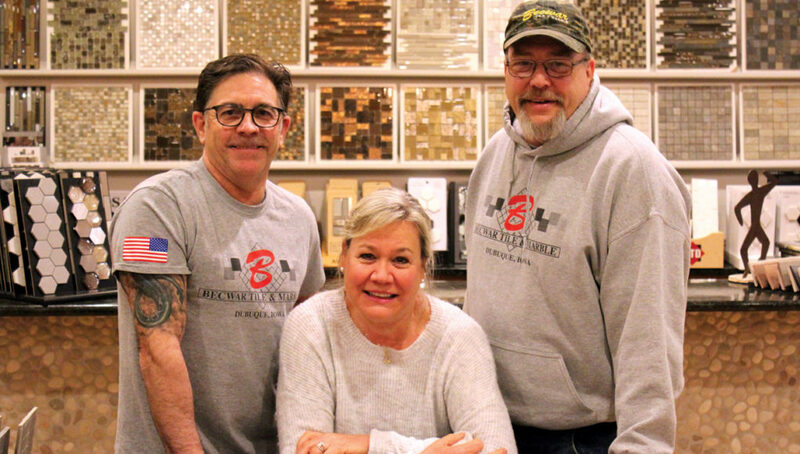 Bob and his wife Cathy, Dubuque natives, had been in the flooring/decorating business for over 20 years when Eric, coming east from a Southern California brick and ceramic tile industry, arrived on the scene. Eric began working as a tile setter with Bob and Cathy. 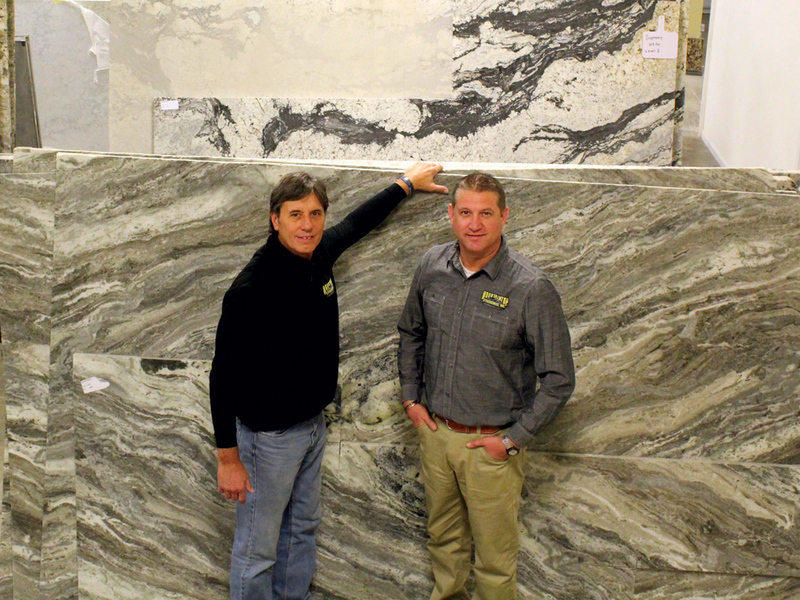 A few years later, on a tip from a west coast friend in the tile business, Eric suggested to Bob that the granite countertop business would eventually make its way to the interior of the country, so “We should get ahead of the game, so we will be ready when it arrives.” Well, arrive it did. And their intuition to learn the business and be ready paid off.